Megyn Kelly’s new gig at NBC was announced just two days ago, and rumors of her wrecking ball-like introduction to the network have already begun. People reports that rumors are a’brewin’ that Kelly, who was offered the chance to host a daytime show in addition to a “Sunday evening news magazine program” and “breaking news coverage,” may nab the “coveted 1–2 p.m. slot” currently held by the long-running soap opera, Days of Our Lives. The source says executives at the show have given some key staffers indication that their days are numbered. “Basically, we’ve heard that there won’t be a Days in 2018,” says the source associated with the show, which recently celebrated its 51st anniversary on the network. 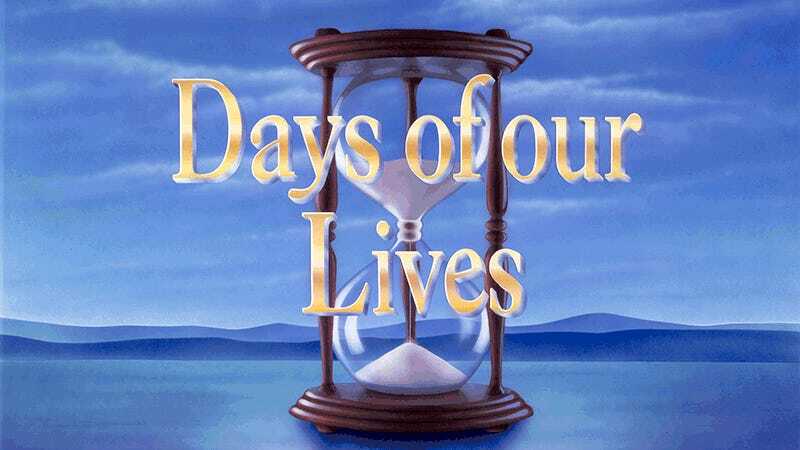 Days of Our Lives has been on the air since 1965. Megyn’s last day at Fox News is Friday. Author’s Note: I spent several minutes attempting to write more clever headlines such as “Like Sands Through the Hourglass, So Might Megyn Kelly Be Responsible For the Cancelation of Days of Our Lives,” and “Like Sands Through the Hourglass, So Are the Days Numbered For Days of Our Lives,” but ultimately decided to go with something less clunky and embarrassing.